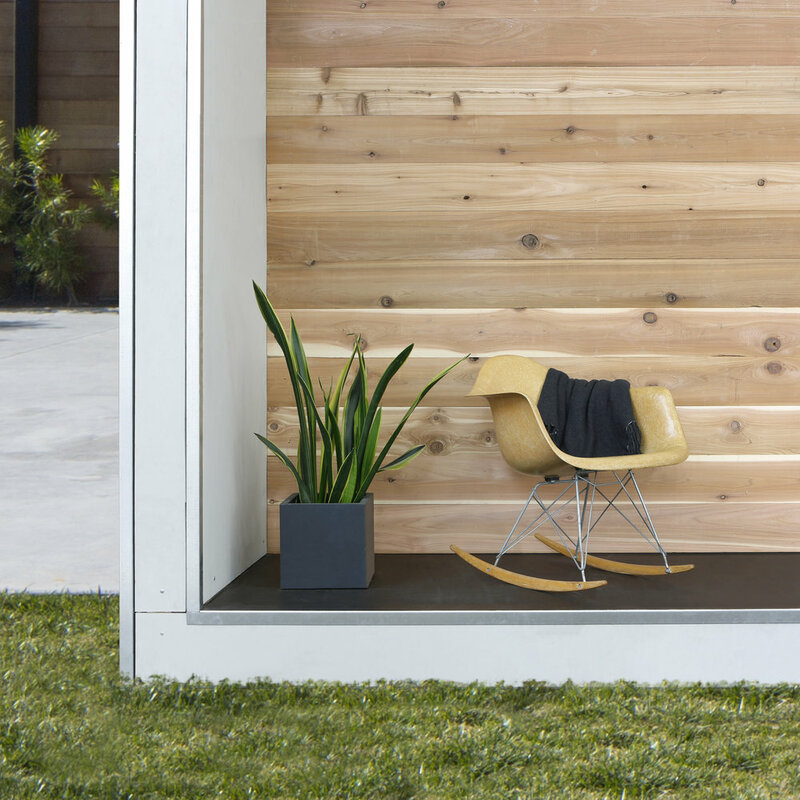 The Plus Hus - Life in a 320 Square Foot Customizable Home — Nature | City Co. The Plús Hús (pronounced "Plus House"), a home and living solution originally developed to combat LA's housing crisis, this "home in a box" concept is an excellent example of green living and carbon footprint reduction! In short, it's a minimalist's dream! 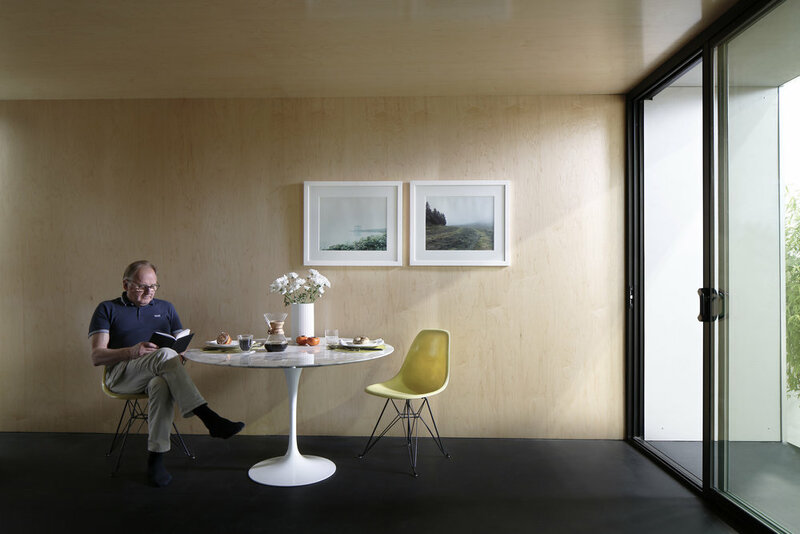 Developed by design firm Minarc, the Plús Hús was created to enact thoughtful spaces and meaningful solutions to wasted space by allowing homeowners to add extra living spaces to their property. "Plús Hús is a simple, efficient, multi-purposable structure design to let anyone easily add an affordable, environmentally responsible space to their property that minimized wasted energy and environmental impact." The Plús Hús is a full package deal for any homeowner looking to add additional living or working quarters to empty or unused additional yard space, granted they have an additional 20 square feet lying vacant within their lot setting. Below are a collection of gathered interior and exterior shots of the Plús Hús in action. The option to go between a guest house look and home office workspace setting from the comforts of home is enticing enough for us to imagine welcomed seasonal changes that will keep things fresh in this box style minimalist space addition for years to come! Clean and straight lines all around! An open space setting of kitchen cabinetry and breakfast style dining and seating! Cabinets flush against the wall! A quaint miniature porch space with house plant and rocker style seating! Single dwelling living, tucked in a box! A minimalist vibe, functional and purposeful; open paths direct throughout the limited living space. You can opt for a home office look, as seen here with table and chair workspace where the bed was positioned from previous images. And here's another shot of that executive workspace, with a coffee table and area rug layout that's perfect for setting up small face-to-face meetings with! A quick glance at the commode, with glass panel shower stall tucked off to the side, as well as some decorative framed landscape photography to liven up the walls with! 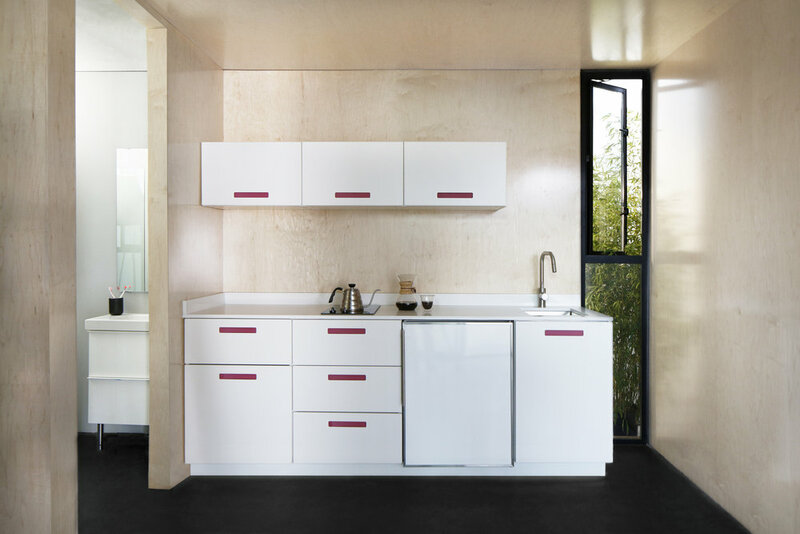 A closer look at the tiny kitchen space: do you like fresh cut citrus with your hot tea? You can give this space a bungalow style look, filling it with various seating options to create a tucked away lounge space setting for gatherings with if you're interested in moving meet-ups away from the main house! If you need to find a quite place for deep thinking and focus, this space seems ideal for alone time! 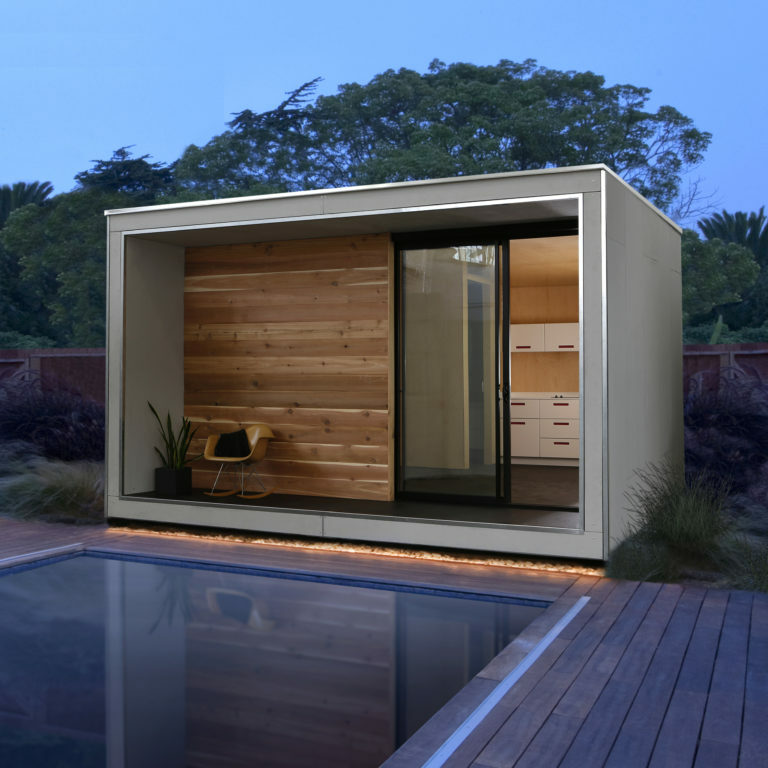 A perfect "pool house" addition, bringing the Plús Hús in to your empty yard space settings makes absolute sense!